SupernintendoChalmers: My Compassion Family - They Need You!! My Compassion Family - They Need You!! These kids need you!! Because I will (God-willing) be moving to the Philippines at the end of January to work and teach in an orphanage called The Ruel Foundation on a hopefully ongoing basis, I will no longer be able to financially sponsor my Compassion family. I would love it if you would consider sponsoring one of my kids. 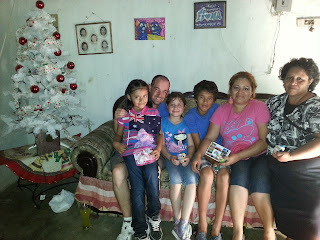 I have been blessed to visit all but one of my current Compassion family. Below I have included a photo of each child, some of their family and some basic information. As an added bonus, when you decide to sponsor one of my kids, I will send you a copy of all the photos and videos I took of the visit day, as well as a typed-up copy of all the letters the child has sent me. This will help you get to know them a lot better. Danna lives in Jiquilipas, west of Tuxtla Gutierrez, Mexico. She is 10 years old and her birthday is July 26, 2003. Danna lives with her mother, brother and sister. 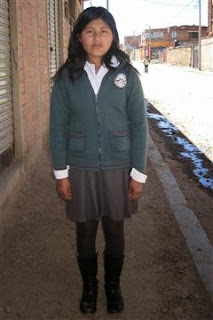 Sehila lives in Santiago Segundo, just south of El Alto, Bolivia. She is 15 years old and her birthday is December 25, 1998. She lives with both parents, her younger sister and older sister. What an exciting new stage in life. I will be praying for God to provide loving sponsors for your Compassion kids.